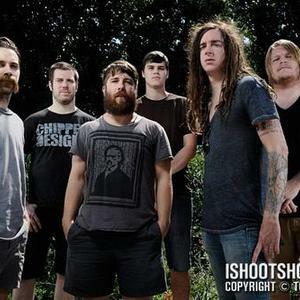 Underoath (occasionally typeset as underOATH or UNDER?ATH) is an American band originally formed on November 30, 1997 in Ocala, Florida, but since then, have re-located to Tampa, Florida, which was home to some of their newer members. The band's line-up consists entirely of Christian members. They are currently signed with Solid State Records, a subsidiary of Tooth and Nail Records, and are the label's most popular group. After several line-up changes, Under?ath no longer has any of the original band members. During the band's early years, when they were fronted by former vocalist Dallas Taylor, Under?ath displayed a heavier style than their later, more well-known work, incorporating disparate influences from death and black metal. With Taylor, they released Act of Depression, Cries of the Past, and The Changing of Times. Following Taylor's departure, Spencer Chamberlain became lead vocalist. The band then released They're Only Chasing Safety and Define The Great Line, gaining a certified gold rating and the highest-charting Christian album on The Billboard 200 since 1997, respectively. These two albums have given them more mainstream and commercial success. They're Only Chasing Safety marked an extreme departure from their earlier work, with extensive use of clean vocals and poppy rhythms, and a near-complete eradication of breakdowns and the use of double-bass. Define The Great Line reflected another shift in style, once again incorporating heavier styles into Underoath's sound. While the album still featured extensive clean vocals, its use of heavier vocals, detuned guitars, and Botch-inspired guitar work paved the way for Underoath's future. Under?ath released a live CD/DVD album called Survive, Kaleidoscope on May 27, 2008. From late February to early May the band recorded a new studio album called Lost In The Sound Of Separation, which was released on September 2, 2008, peaking at number 8 on the Billboard 200. In April 2010, Aaron Gillespie announced his resignation from the band, stating that there are no hard feelings and that he will continue to pursue his other band, The Almost, leaving Under?ath with none of its founding members. The band recorded their seventh album with new drummer Daniel Davison (formerly of Norma Jean). The new album, &Oslash; (disambiguation), was released November 9, 2010. In October 2012, Underoath decided to call it quits.